Home / Bodybuilders / Chris Bumstead: Steroids or Natural? Chris Bumstead: Steroids or Natural? Chris Bumstead is a potential future Mr Olympia according to Generation Iron. Does this promising bodybuilder use steroids or is he natural? Chris Bumstead is a professional IFBB bodybuilder from Canada. The twenty-one-year-old was named ‘potential Olympia champion’ by Generation Iron. Aesthetic Chris stands out in an industry dominated by bloated giants, a look that’s losing popularity. Bumstead’s generation seems to prefer the classic 70’s bodybuilder physique, a slim waistline, and big chest. Chris Bumstead is fully aware of this trend and regularly shows off his non-bloated stomach by posting photos of himself pulling his stomach in a vacuum. To become a certified professional bodybuilder, Chris Bumstead competed with the CBBF. Canada’s official federation of bodybuilding states that they conduct drug tests on their website. A natural federation its drug testing policy is only useful if they test all participants. That’s because otherwise, steroid users may be able to compete. 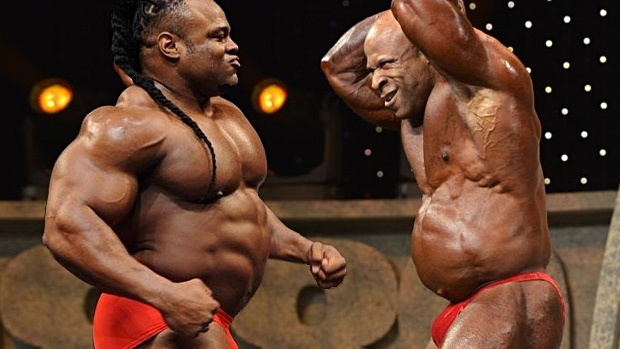 We suspect the CBBF only tests a few bodybuilders to gain a clean reputation. 3D shoulders typically indicate steroid use because they’re tough to build naturally. The reason steroid users can build huge shoulders is that the delts relatively have a lot of androgen receptors. Steroids are androgenic, and thus they have a lot of impact on androgenic muscle groups. As the picture above shows, Chris Bumstead has 3d shoulders, which raises our suspicion. As most of you probably are aware steroids can cause acne because they promote oil production. After taking steroids that are of androgenic nature, the sebaceous glands go into overdrive. Red or flushed skin is another typical side effect of steroid use which we often see in Chris Bumstead. Steroids are thermogenic and can cause internal temperatures to rise which gives the skin a red appearance, especially in the chest area. From what we’ve seen there’s a high probability that the Canadian bodybuilder uses steroids. 1. He has 3D deltoids, 2. He has acne, 3. His chest is dry. Judging by Chris’s physique, we think he has used Trenbolone. Firstly, his body-fat percentage is in the single digits, and he’s super jacked. Trenbolone burns away fat and helps gain muscle mass without retaining water. Secondly, Acne is a possible side effect of Tren use, and it’s the steroid most bodybuilders use to build big shoulders. Trenbolone also makes it easier to get muscle striations as Chris Bumstead has in his chest. Furthermore, Tren helps gain tons of muscle mass which makes sense considering how big the bodybuilder is. Previous Chul Soon: Natural or Steroids? Next What Steroids Does Calum von Moger Use?